Jessica Vosk as Elphaba and Amanda Jane Cooper as Glinda. According to the Hollywood Reporter, Stephen Daldry—previously in talks to direct the Obi-Wan Kenobi solo film—is attached to direct the film that follows the lives of Elphaba (who goes on to become the Wicked Witch of the West) and Glinda (a.k.a. the Good Witch) who become unlikely friends during their time studying witchcraft at Shiz University. 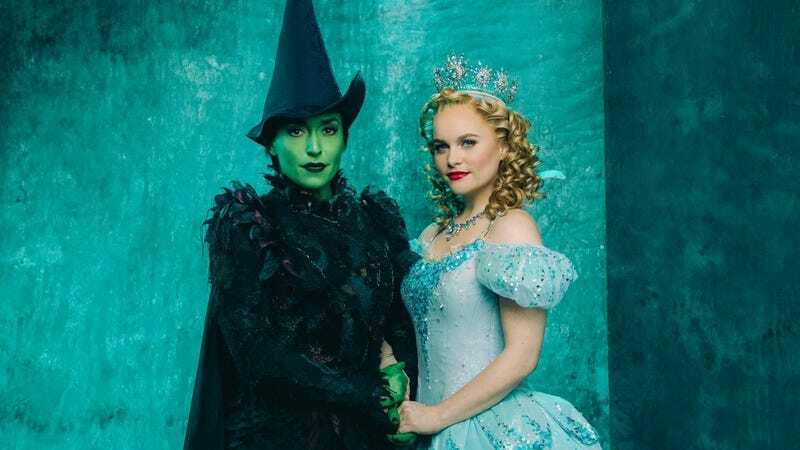 Winnie Holzman and composer Stephen Schwarz, who originally adapted Gregory Maguire’s Wicked novel, are coming back to pen the screenplay for the film, and the studio’s already locked in a scheduled premiere for December 22, 2021. The only questions how is who Universal has its eyes set on to play its lead characters...because they’ve got some mighty big shoes to fill. The original Broadway cast famously featured Idina Menzel and Kristin Chenoweth as the witches and Joel Grey as the Wizard of Oz. We Could Have A Wicked Movie By 2016!